Traditional attires, ululations and mokgibo were the order of the day when Mangaung Metro Municipality Executive Mayor Cllr. 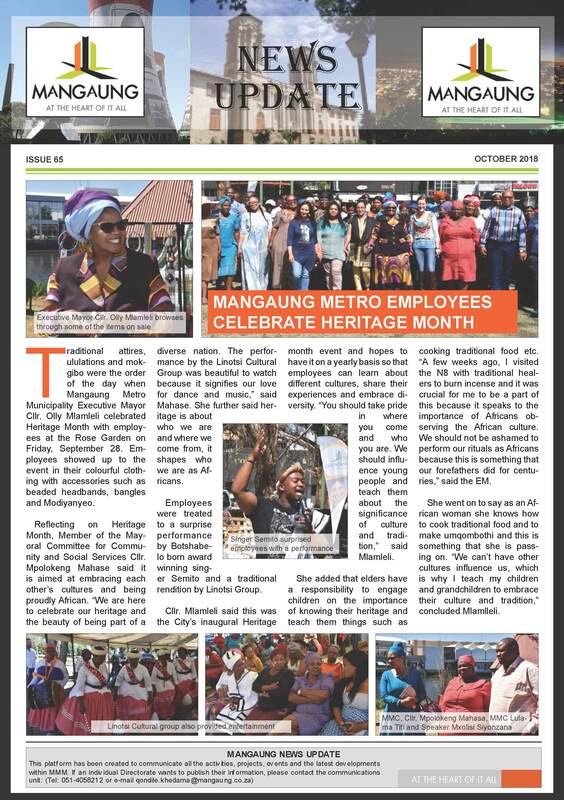 Olly Mlamleli celebrated Heritage Month with employees at the Rose Garden on Friday, 28 September 2018. Employees showed up to the event in their colourful clothing with accessories such as beaded headbands, bangles and Modiyanyeo.